What is Spotify popularity index? 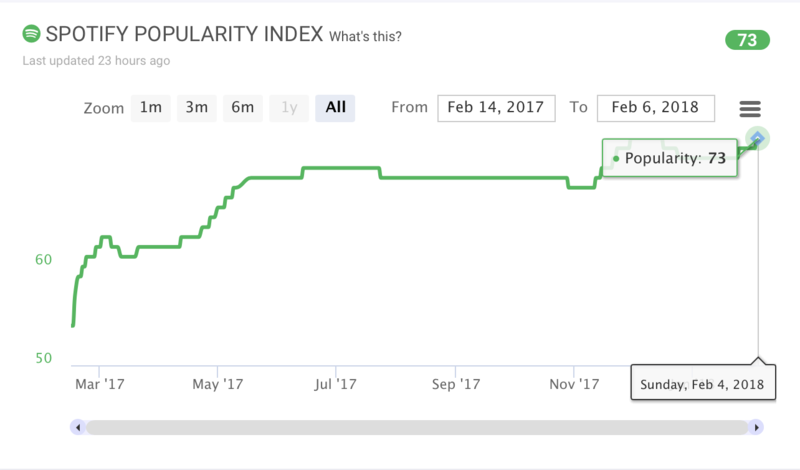 The Spotify popularity index is a number from 0-100 and comes directly from Spotify. 100 meaning the highest possible level of popularity attainable on Spotify (in 2017 Ed Sheeran was at 100 for most of the year). We believe that this index is integral to everything Spotify does in curating their playlists. We update this index daily.